Wendy Cleland-Hamnett, was, until last month, the Environmental Protection Agency’s top official overseeing pesticides and toxic chemicals. Hamnett says she was extremely disturbed when Scott Pruitt overrode the EPA staff recommendation to ban the commercial use of the pesticide chlorpyrifos, blamed for developmental disabilities in children. WASHINGTON — For years, the Environmental Protection Agency has struggled to prevent an ingredient once used in stain-resistant carpets and nonstick pans from contaminating drinking water. The chemical, perfluorooctanoic acid, or PFOA, has been linked to kidney cancer, birth defects, immune system disorders, and other serious health problems. So scientists and administrators in the EPA Office of Water were alarmed in late May when a top Trump administration appointee insisted upon the rewriting of a rule to make it harder to track the health consequences of the chemical, and therefore regulate it. 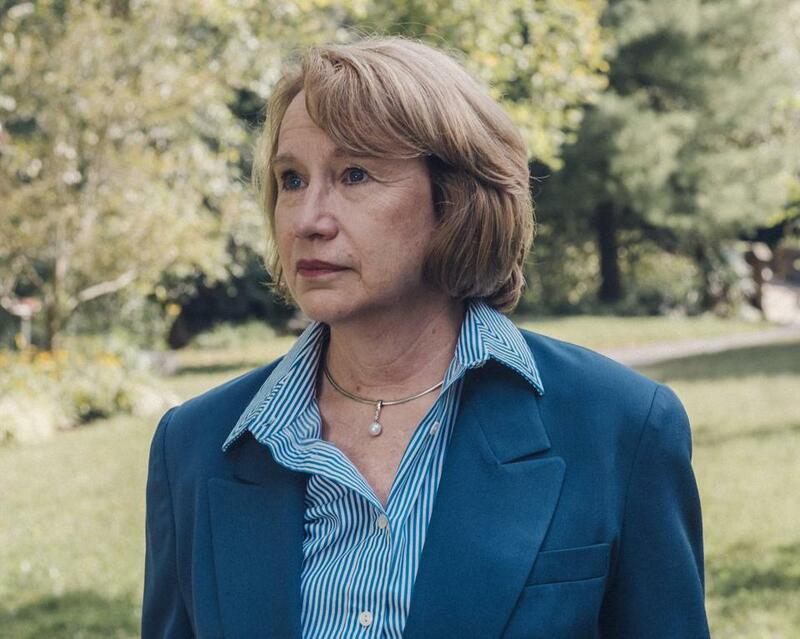 The revision was among more than a dozen demanded by the appointee, Nancy B. Beck, after she joined the EPA’s toxic-chemical unit in May as a top deputy. For the previous five years, she had been an executive at the American Chemistry Council, the chemical industry’s main trade association. The changes directed by Beck may result in an “underestimation of the potential risks to human health and the environment” caused by PFOA and other so-called legacy chemicals no longer sold on the market, the Office of Water’s top official warned in a confidential internal memo obtained by The New York Times. The EPA’s abrupt new direction on legacy chemicals is part of a broad initiative by the Trump administration to change the way the federal government evaluates health and environmental risks associated with hazardous chemicals, making it more aligned with the industry’s wishes. It is a cause with far-reaching consequences for consumers and chemical companies, as the EPA regulates some 80,000 different chemicals, many of them highly toxic and used in workplaces, homes, and everyday products. If chemicals are deemed less risky, they are less likely to be subjected to heavy oversight and restrictions. The effort is not new, nor is the decadeslong debate over how best to identify and assess risks, but the industry has not benefited from such highly placed champions in government since the Reagan administration. The cause was taken up by Beck and others in the administration of George W. Bush with some success, and met with resistance during the Obama administration. Now it has been aggressively revived under President Trump by an array of industry-backed political appointees and others. Other scientists and administrators at the EPA, including Wendy Cleland-Hamnett, until last month the agency’s top official overseeing pesticides and toxic chemicals, say the dangers are real and the pushback is often a tactic for deflecting accountability — and shoring up industry profits at the expense of public safety. Since Trump’s election, Beck’s approach has been ascendant, according to interviews with more than two dozen current and former EPA and White House officials, confidential EPA documents, and materials obtained through open-record requests. In March, Scott Pruitt, the EPA chief, overrode the recommendation of Cleland-Hamnett and agency scientists to ban the commercial use of the pesticide chlorpyrifos, blamed for developmental disabilities in children. The EPA’s new leadership also pressed agency scientists to reevaluate a plan to ban certain uses of two dangerous chemicals that have caused dozens of deaths or severe health problems: methylene chloride, which is found in paint strippers, and trichloroethylene, which removes grease from metals and is used in dry cleaning. The EPA and Beck declined repeated requests to comment that included detailed lists of questions. The conflict over how to define risk in federal regulations comes just as the EPA was supposed to be fixing its backlogged and beleaguered chemical regulation program. Last year, after a decade of delays, Congress passed bipartisan legislation that would push the EPA to determine whether dozens of chemicals were so dangerous that they should be banned or restricted. The chemical safety law was passed after Congress and the chemical industry reached a consensus that toxic chemical threats — or at least the fear of them — were so severe that they undermined consumer confidence in products on the market. But now the chemical industry and many of the companies that use their compounds are praising the Trump administration’s changed direction, saying new chemicals are getting faster regulatory reviews and existing chemicals will benefit from a less dogmatic approach to determining risk. “US businesses, jobs, and competitiveness depend on a functioning new chemicals program,” Calvin M. Dooley, a former representative who is president of the American Chemistry Council, said in a statement. It was issued in June after Beck, his recent employee, pushed through many industry-friendly changes in her new role at the EPA, including the change in tracking legacy chemicals such as PFOA.